See a doctor online now. Need to see a doctor in Oadby? See a GP online with Push Doctor instead. Getting an appointment with a GP isn't always easy, and not everyone can afford to spend a whole day in a walk-in centre waiting room. That's where our online walk-in centre can help. Our doctors can see you in minutes and discuss your medical problem at a time to suit you. There's no travelling or waiting involved, simply log in using your smartphone, tablet or desktop device and choose an appointment time. We're open 7am - 8pm every day, including weekends and bank holidays, so you can get an out of hours appointment if you don't want to take time off work. You might think that a doctor needs to physically examine you to make a diagnosis, but studies have shown that for eight out of ten patients, this isn't the case. 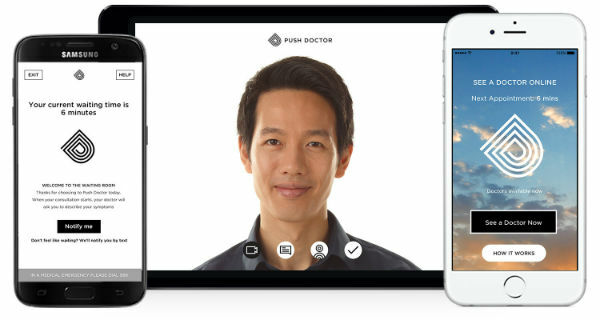 Our doctors can provide medical advice and diagnoses using a video consultation. You're able to see a doctor using your smartphone, tablet or desktop device and get help with a range of medical issues, such as mental health problems, allergies and the flu. You'll find more information about walk-in centres in Oadby below. Located just off The Parade in the town centre, Oadby Walk-in Centre is one of several available in the Leicester area. It's open seven days a week to help with minor illnesses and injuries. During busy periods, you may be waiting up to four hours to see a doctor. Looking for pharmacies in Oadby? Where to go if you need to pick up a prescription in Oadby. Lloyds Pharmacy is found just a short walk from Oadby Walk-in Centre and can provide the medicine you've been prescribed by a doctor. 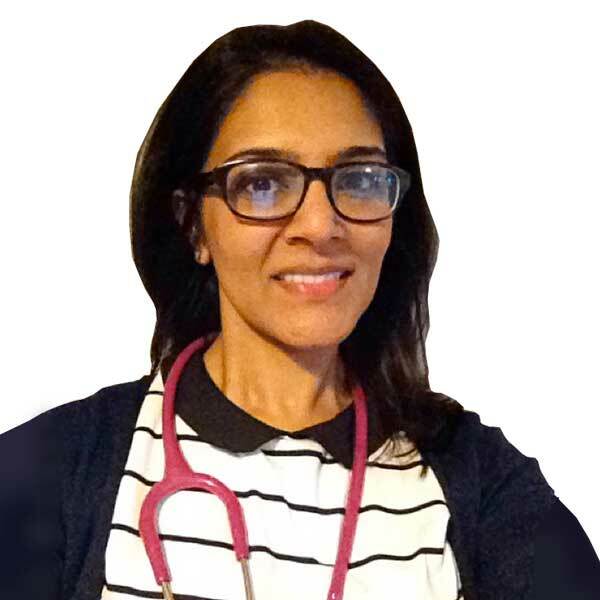 Dr Sharma has been based at a GP surgery in Leicestershire for the past five years, having studied medicine at the University of Birmingham. "I like that you can do it from home. It's a well-run service and the patients really like the convenience of it and it's really flexible, so I can choose when's convenient for me to work." "I think it’s going to play a big role in improving accessibility for patients."